I used to do a lot of work with cult skincare brand Kiehl's a couple of years ago within my local store in York, including blogger events and such, and I find their history fascinating. The products and stores all have a slight pharmaceutical, very clean look to them. It makes you feel like you are buying something very natural, and slightly scientific. 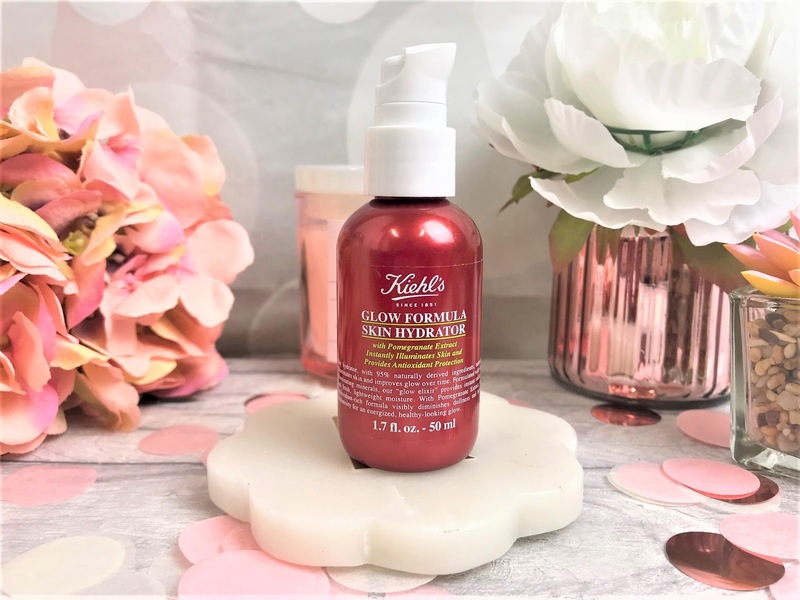 One of Kiehl's most recent releases is the Kiehl's Glow Formula Skin Hydrator, and who doesn't want healthy, glowy skin in time for Spring? The formula is packaged in a metallic-looking red bottle with a white pump applicator and the product itself was not what I was expecting. With it being a hydrating product, I was expecting a clear or white cream, but it actually looks a little like a foundation, with a creamy gel-like texture. This is an illuminating moisturiser which can also be used as a primer before applying your foundation or powder. It gives an instant glow with its pearlescent finish and feels cooling and hydrating as soon as you apply it onto the skin. The Glow Formula isn't glittery or greasy, yet gives a very delicate and delightful healthy glow to the complexion. I love how you get that instant glow from it, yet the moisturiser part of the formula keeps your skin hydrated throughout the day. Skincare and makeup in one? Gotta love that. Kiehl's deem it suitable for all skin types, and it suited my combination skin well. I have dryness on my cheeks and on my neck, but my T-Zone still remains slightly oily at 35 years old, fabulous! I also sometimes suffer from sensitivity on my cheeks, yet this did not flare that up whatsoever and the cooling feeling of the Hydrator seemed to calm them down a little. I think that this will be especially perfect for Summer, as you can pop this on the skin before heading out, rather than applying heavy foundations or powders, and it is going to brighten up the skin whilst also keeping it hydrated. 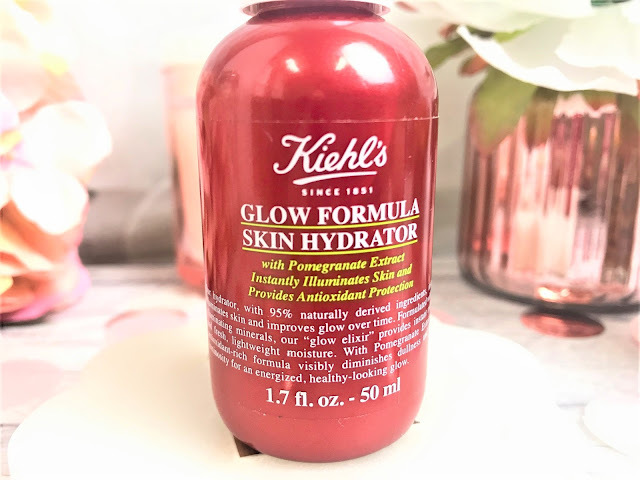 You can find the Kiehl's Glow Formula Skin Hydrator online at Kiehl's here, where it costs £30.00 for 50ml.